That was a question posed to me a few years back by number 1 son Ethan when he was about 8 years old. The reason for the question was my telling him we were going to watch The Cowboys and John Wayne was going to face off against Bruce Dern. I still laugh at his question and it’s become a common reference in our home when Dern comes up in one of our film discussions. 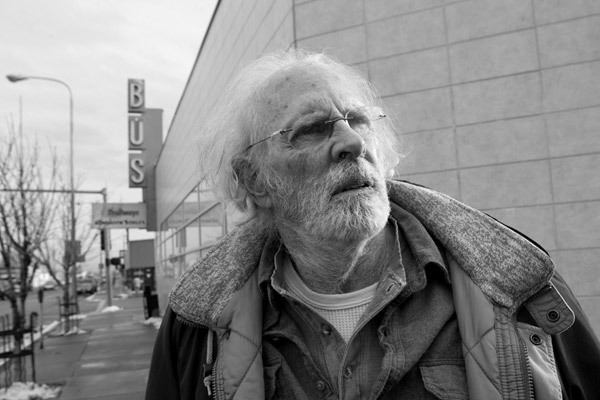 Bruce Dern is one of those actors that I’ve been tuned into since I first started connecting the dots as a young film fan. That generally meant westerns as a kid. He did the unthinkable in 1972’s The Cowboys opposite the Duke. It left a lasting impression. Speaking of impressions, check out Jim Carrey’s pitch perfect impression of Dern on youtube. Then I’d spot him in oaters like Will Penny, Hang’Em High and trying his hand at outdrawing Kirk Douglas in The War Wagon. Big mistake! Bruce made his film debut in the Montgomery Clift film Wild River allowing him the chance to work with Elia Kazan. 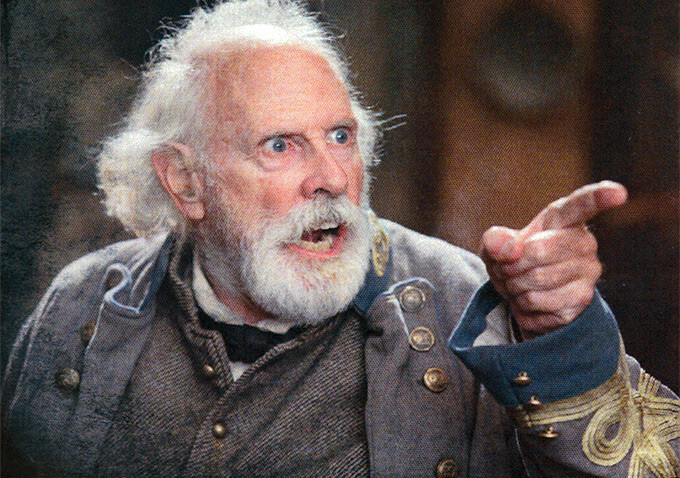 Bruce would work with some of the most notable directors over the last 55 years including Hitchcock, Walter Hill, Hal Ashby, Coppola and Quentin Tarantino in the featured role of General Sandy Smithers among The Hateful Eight. 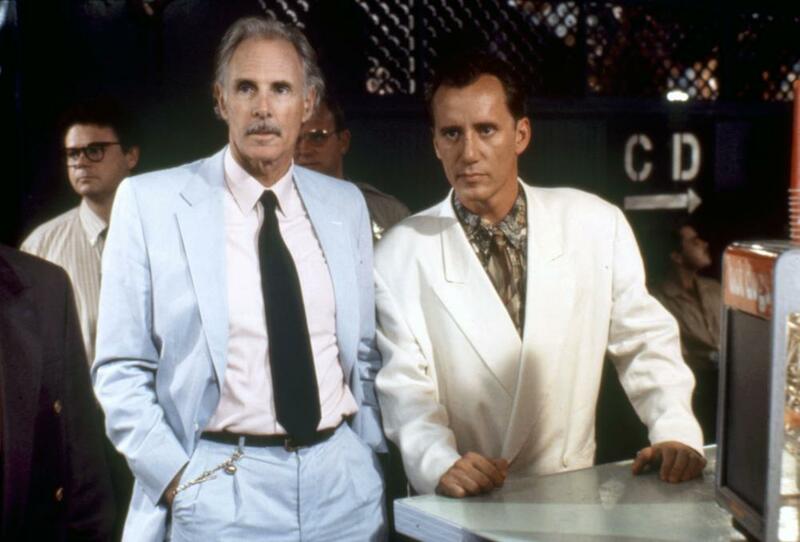 Not strictly a character player in westerns, Bruce would star in a sci-fi gem titled Silent Running. A pocketful of “B” biker flicks like Cycle Savages and even the disastrous Incredible Two Headed Transplant. For the reasons on his starring in this nasty little horror flick, check out his excellent autobiography , “Things I’ve Said But Probably Shouldn’t Have.” If you do give this a read, you’ll learn more about his appearance opposite Duke Wayne in The Cowboys. Then there was The Trip for Roger Corman from the psychedelic era. Sure Bruce makes for a wild eyed villain. Just check out his work in Black Sunday, The Driver and Coming Home. Yet even when cast as the supposed bad guy in movies like Posse, perhaps there’s more to him then one might expect. Getting caught up in the returning Vietnam vet roles he turned in a wonderful parody of the character opposite Tom Hanks in The Burbs. 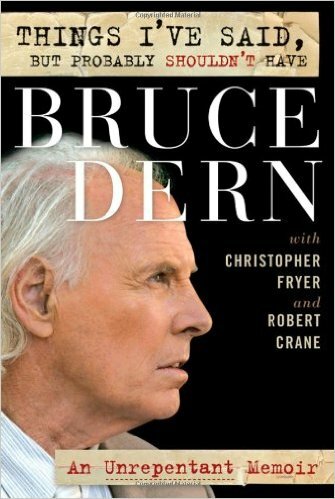 When you’ve always been a fan of an actor there is a certain amount of pride as a film buff when you can point out to your friends and associates just who someone like Bruce Dern is. His recent acclaim in Nebraska and appearance in the high profile Hateful Eight causes people who may not know his name to be flooded with images when they stop and think of just how many films they have seen him in. 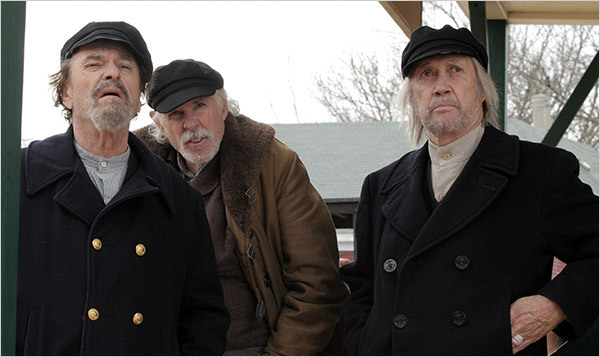 It also allows young movie fans to listen up and check out so many films of the past that graced us with Mr. Dern’s presence. Films that need to be seen and rediscovered by a new, younger audience. 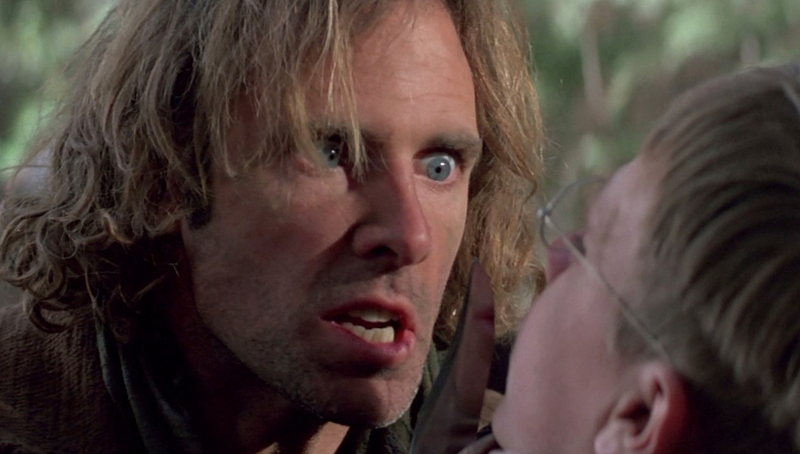 As it stands I’ve seen 47 titles from Bruce Dern’s catalogue of film appearances. Apart from the ones I’ve already mentioned here are a sampling of other titles to check out along side his Award winning turn in Nebraska. Diggstown opposite James Woods. Great casting! I continue to tune into films starring Dern when the opportunity presents itself and hope to catch up with the many I have yet to see. Any recommendations? Feel free to voice your suggestions. I have Smile and it’s been years since I’ve seen it. Duly noted. That’s funny about Dillman. 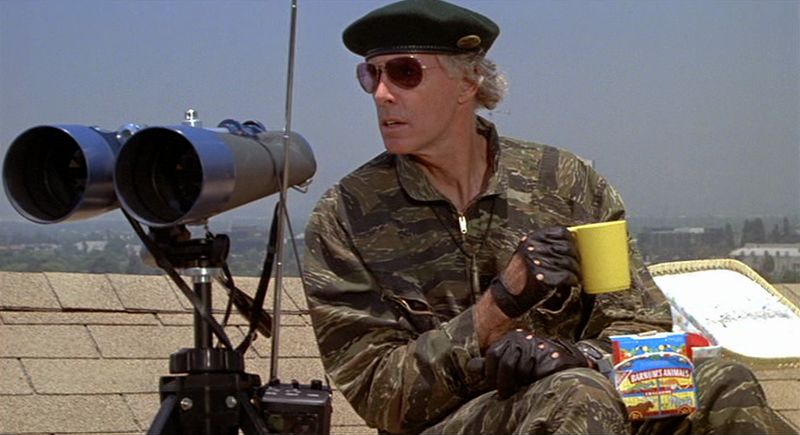 As a kid I used to get Lee Marvin and James Coburn mixed up. I’ll always associate Bruce with Silent Running, one of the many ‘end of the world’ movies I watched as a kid in the early 1970s, and one I really liked. I also really liked that Jim Carrey impersonation…very spot on! Silent Running is a real gem that needs a rebirth. Maybe if TCM picked it up. Carrey nails it. Great post! I’ll never forget the unthinkable moment you mentioned from The Cowboys, watching that movie as a 10-year-old… It shook me up for a long time! One of my favorite performances is from a film that doesn’t get talked about very much, The King of Marvin Gardens. I’ll definitely check out Dern’s memoir (just placed it on hold from the library). Thanks. I actually picked up Gardens a couple months ago and haven’t squeezed it in yet. I’ll move it up the pecking order. One of the few Nicholson movies I’ve yet to see. Enjoy the book. Let me know what you think. And to this day his cattle rustler in the Cowboys is a true portrait in evil.